Century-old brick streets in a historically black neighborhood in Houston, Texas, are under threat of demolition, the culmination of a years-long debate over the preservation of Freedmen’s Town. The planned removal of the bricks was temporarily halted last week by a judge’s 14-day restraining order, and at a hearing today another judge ordered the city and preservationists to enter mediation to resolve the dispute. Houston officials want to remove the bricks to revamp infrastructure for utilities, but the Freedmen’s Town Preservation Coalition argues that there are non-invasive ways to make improvements, without the removal of the bricks. The roots of the neighborhood go back to 1866, when hundreds of freed slaves arrived, constructed their own homes, and paved their own streets without support from the city. 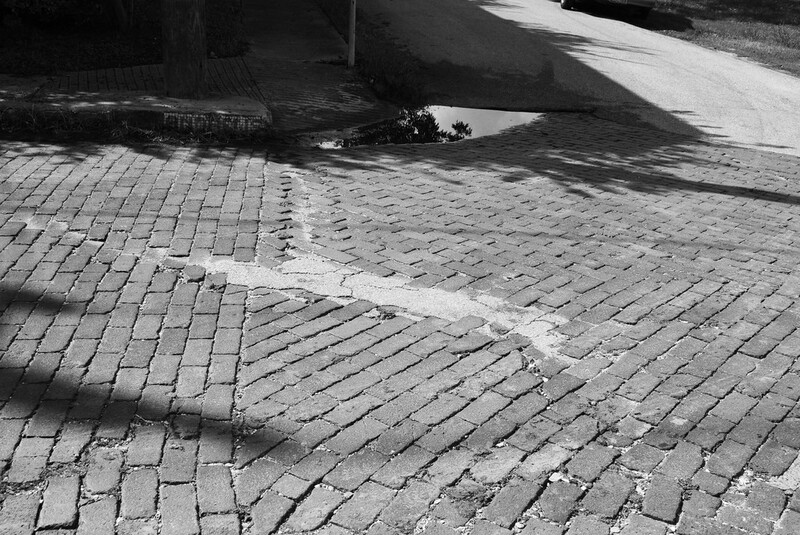 Now part of Houston’s Fourth Ward, the old brick roads are uneven and much of the old architecture has been torn down. Janice Evans, spokeswoman for Houston Mayor Annise Parker, told the Courthouse News Service that the restoration project calls for putting the bricks back in place after the repairs and will “leave the streets in a more stable state and better able to handle the load they must carry in the 21st century.” In the same article, however, the preservation group’s lawsuit is cited as explaining that the bricks were “uniquely laid in a distinct African pattern known as a Yoruba pattern,” therefore a move could disrupt their inherent design, as well as their historical value. 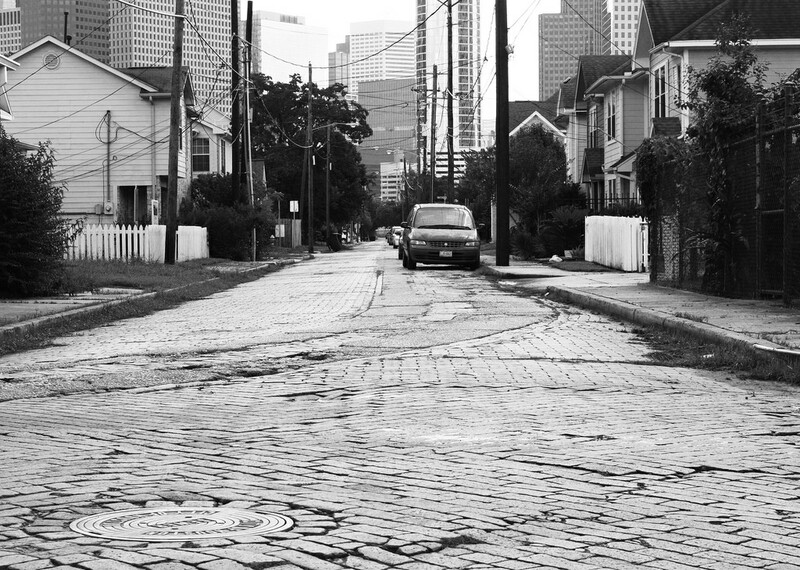 In a statement on its Facebook page, the Freedmen’s Town Preservation Coalition calls on the City of Houston “to use preservative rather than restorative methods when revamping historic Andrews and Wilson Streets in Freedman’s Town/Fourth Ward,” including putting the new infrastructure under sidewalk easements and following UNESCO preservation practices for repairing the streets. 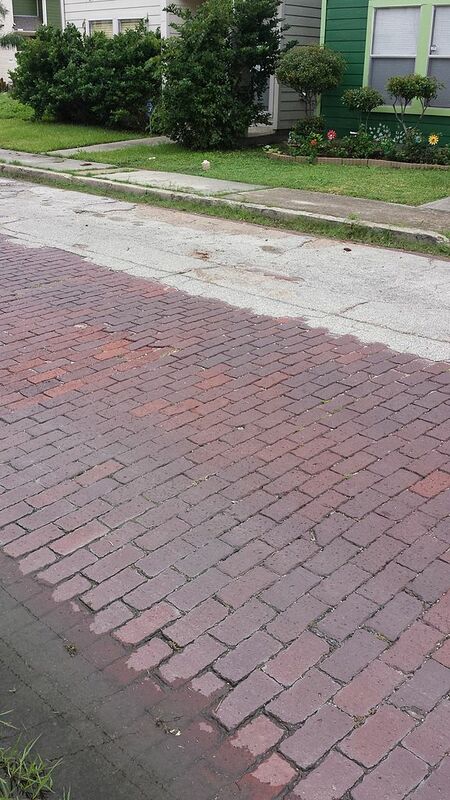 Brick roads across the United States are vanishing, paved over and demolished in the need for sturdier construction. But the bricks are just the tip of a bigger issue in Houston: Freedmen’s Town itself is rapidly disappearing. According to the National Trust for Historic Preservation, when the area was named as a historic district by the National Register of Historic Places in 1984, it had 530 historical structures in a 40-block radius; it now has fewer than 30. The new construction of gentrification has filled the vacancies. So, even as the roads might seem like a minor issue in the face of the upkeep of utilities, there’s a reason they’re drawing passionate protests like one in November, where people laid down in the streets: the neighborhood has a physical history that’s rapidly disappearing.